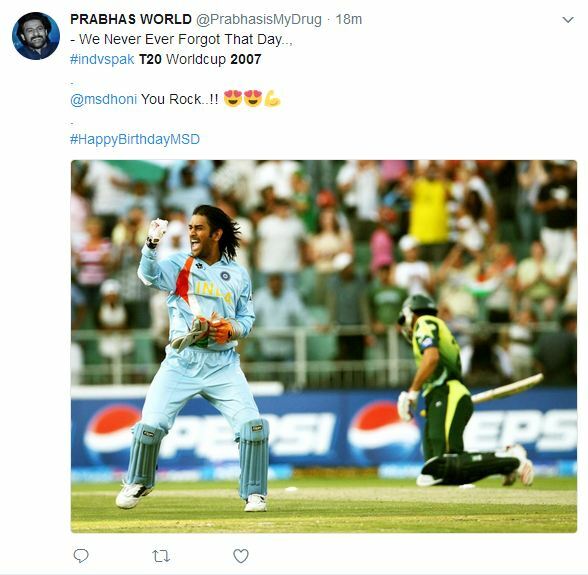 Birthday boy Mahendra Singh Dhoni’s greatest social media moments! The most decorated Indian Cricket Captain turns 36 today. 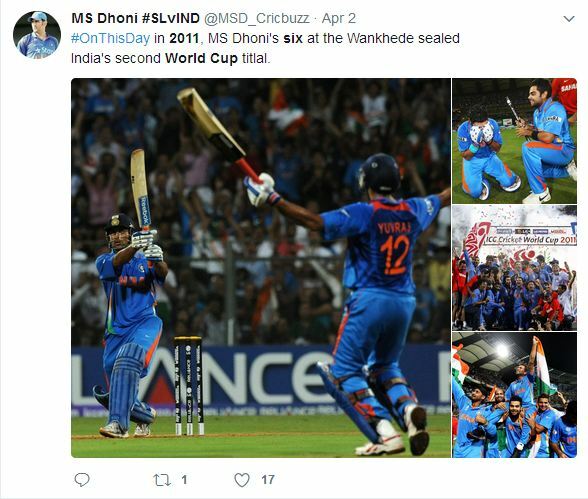 Let us take a look at some of Mahendra Singh Dhoni’s greatest social media moments, from on and off the pitch! He is known as Captain Cool, and the man who never broke under pressure, instead channeled the pressure to thrive off of it to give the Indian Cricket Team one of their most glorious eras. 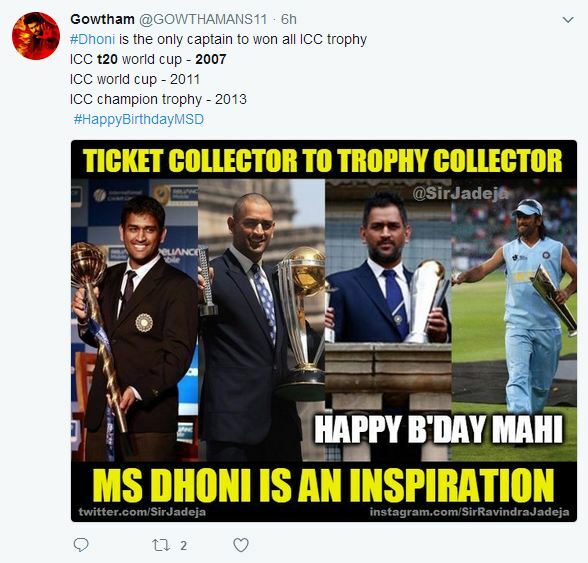 When it comes to Mahendra Singh Dhoni’s greatest social media moments, there are far too many to jot down, although we did quite a modest job here. 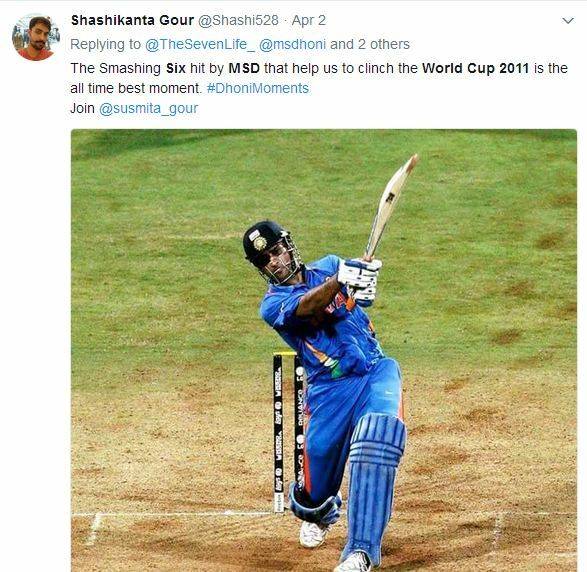 From the most iconic World Cup winning shot in the history of ICC World Cups, to the fastest stumping in Cricket history, he has etched his name in the record books with his match winning knocks, in the hearts of his fans with their love for the man, and in the minds of his rivals with the fear that Mahendra Singh Dhoni commands! 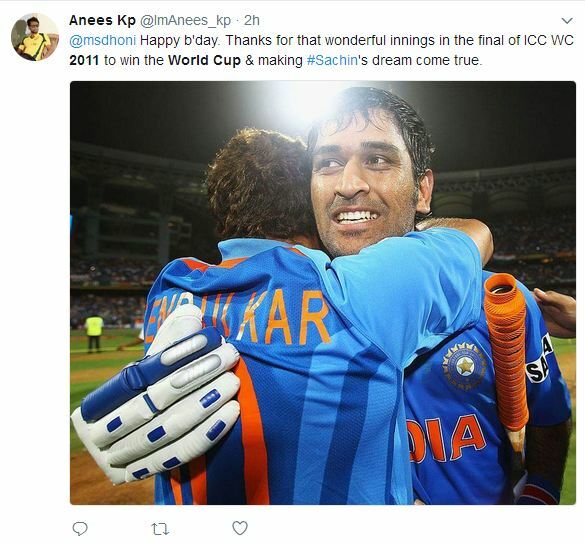 These are five of Mahendra Singh Dhoni’s greatest social media moments that Indian Cricket fans could not help but gush over. His first triumph as the Captain of the Indian Cricket Team and India’s first World Cup in decades. Remember those long locks? 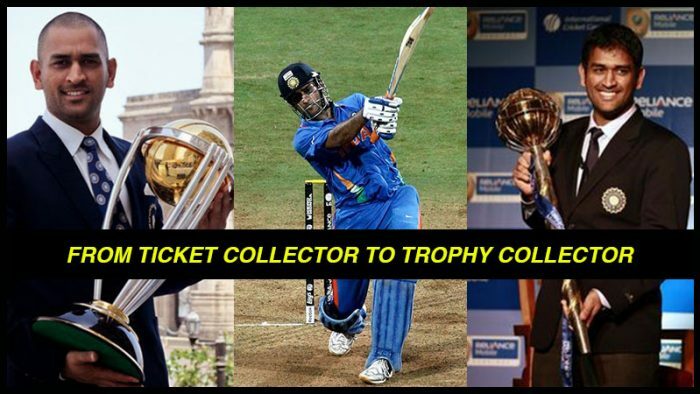 This was the tournament when Dhoni was first handed the reins of a young Indian Cricket team for the T20 World Cup. That turned out well did it not? Dhoni opted to give the last over to Joginder Sharma, a decision that was immediately questioned, yet Dhoni stood by his decision and Joginder repaid the Captain’s faith in him. This is the match that earned him the Captain Cool tag, and he has lived up to it ever since! The defining moment for the champion that Mahendra Singh Dhoni is. 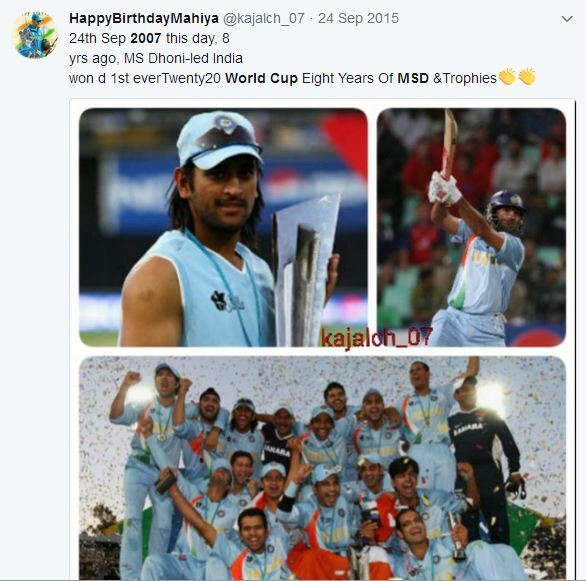 Batsmen only wish they could finish an innings with a six, but its Dhoni who realized the dream TO WIN THE WORLD CUP IN HIS HOME COUNTRY! Do you have goosebumps? I sure do! The kind of TC not everybody gets to be. He showed the world that he cannot just win hearts on the field, by doing this. Casually sitting on the floor, hanging out with a young boy who will remember this for as long as he lives! 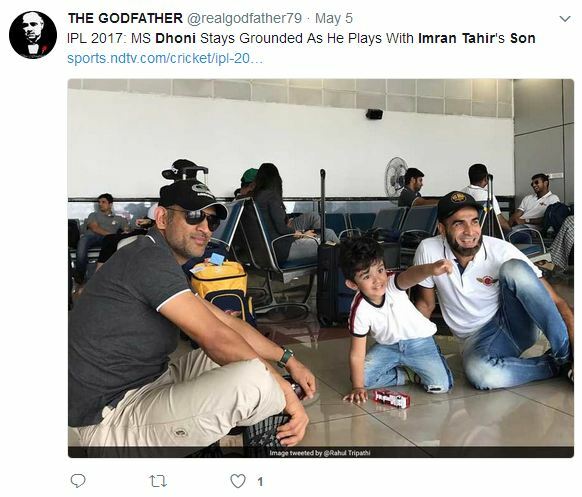 Here’s Dhoni hanging out with Cricketer Imran Tahir’s son at the airport. 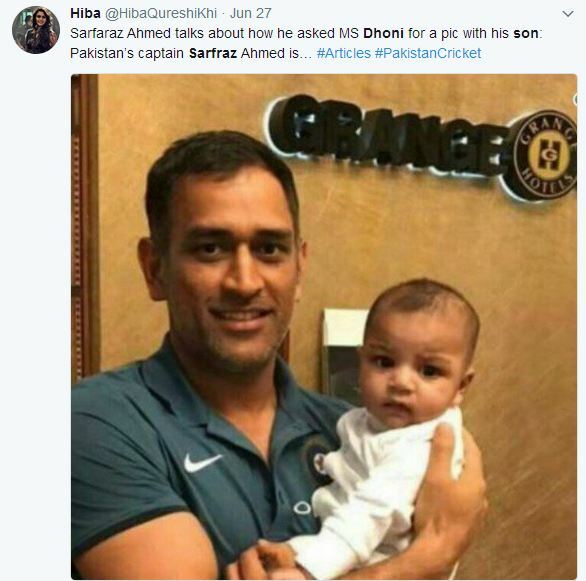 A true sportsman and a gentleman at heart, here is Dhoni with Sarfraz Ahmed’s son, being absolutely adorable. 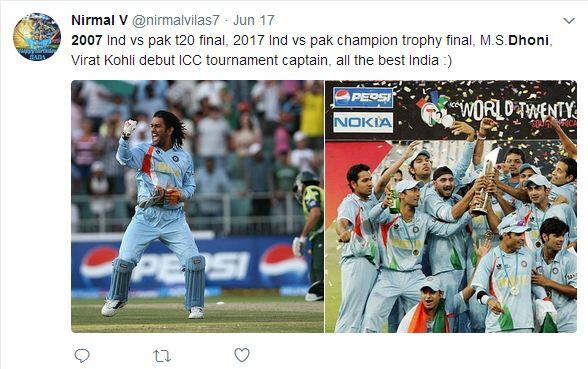 His match winning knocks, cool as ice captaincy and off the field behaviour is accompanied by Dhoni’s phenomenal work behind the stumps as The Flash disguised in the Indian Cricket Team’s jersey. 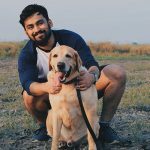 His heroics have earned him plaudits from social media users, and rightly so! Check out the compliments he receives. 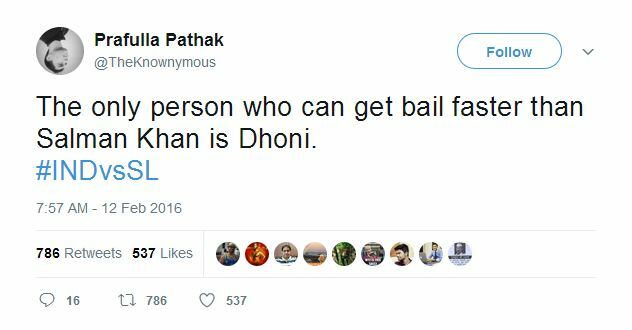 These were Mahendra Singh Dhoni’s greatest social media moments that he has racked up over an illustrious career. As he turns 36 today, we wish him all the best for as he long he chooses to play, and even beyond that. Happy Birthday Captain Cool. Stay cool, Keep winning and make us proud. Thank you for all the memories.